Cross-sectionally, the intestinal wall is divided into four layers, with the serosa, a monolayer of mesothelial cells comprising the outermost layer, followed by the muscularis externa. These muscle layers comprise an external longitudinal layer and an internal circular layer. Sandwiched between these two layers lies Auerbach's (myenteric) plexus. 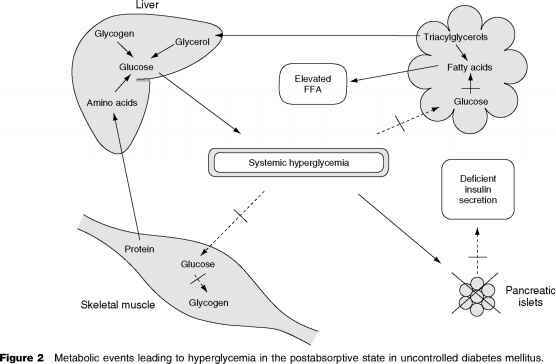 The submucosa is the next more medial layer. A rich admixture of cells, including structural elements such as fibroblasts and dense connective tissue, immunologically important cells (plasma cells, lymphocytes, macrophages, eosinophils, and mast cells), and vascular tissue and innervation to Meissner's plexus (ganglion cells) and lymphatics comprise this layer. The muscularis mucosa, a thin sheet of smooth muscle, separates the deeper submucosa from the mucosa. 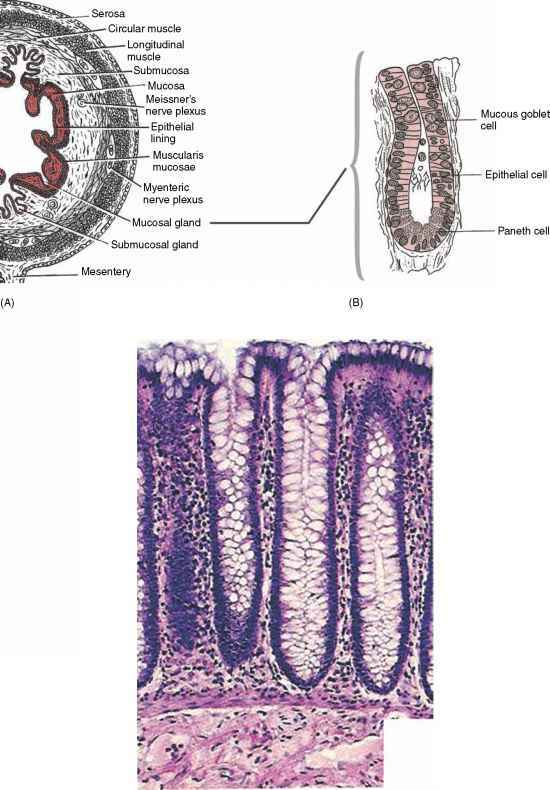 The lamina propria runs interior to this layer, is composed of connective tissue, and is lined by the luminal epithelium (Figure 1A). The intestinal epithelium is a tight monolayer of cells that function to absorb nutrients, electrolytes, and liquids as well as to secrete mucous and fluids. The epithelial surface is punctuated by numerous tightly packed crypts, which contain epithelial precursor cells, enterendocrine cells, other undif-ferentiated cells, and Paneth cells. Goblet cells, which secrete mucin, are also located in the crypt (Figures 1B and 1C, Table 1). As undifferentiated and precursor cells mature, they migrate superiorly to the surface to the monolayer of absorptive cells present in crypts. The average life span of a colonocyte is 3-6 days. The absorptive colonocyte develops short micro-villi while in the colonic crypt, which elongate during its migration to the surface. The hydrophobic lipid bilayer of the colonocyte epithelium prevents passive transport of charged particles. The epithelial membrane contains specific protein transporters, carrier proteins, and channels allowing electrolyte transport. The electrochemical gradient formed by active transport facilitates passive flow across cell membranes.